When my GCE A Levels ended, I signed up for Heartware’s Volunteer Facilitators Programme on the Youthbank portal in November 2017. This was a decision I made after 2 years of volunteering under the Heartware Tuition Programme during my college years in RI. To be honest at that point, I understood little of what was required of me as a volunteer facilitator because this programme only started in 2018. We facilitators were the pioneer batch. Before long, we hit the training phase and I was standing in front of the Heartware – National Day Parade Hospitality Management Youth Planning Committee and the other volunteer facilitators. About 20 pairs of beady eyes were fixed on me as my turn to present came, and there was a deafening awkward silence. It was enough to send shivers down my spine. I was neither a fan of socializing nor a vocal person who actively participated in group discussions back in my secondary school and junior college days. 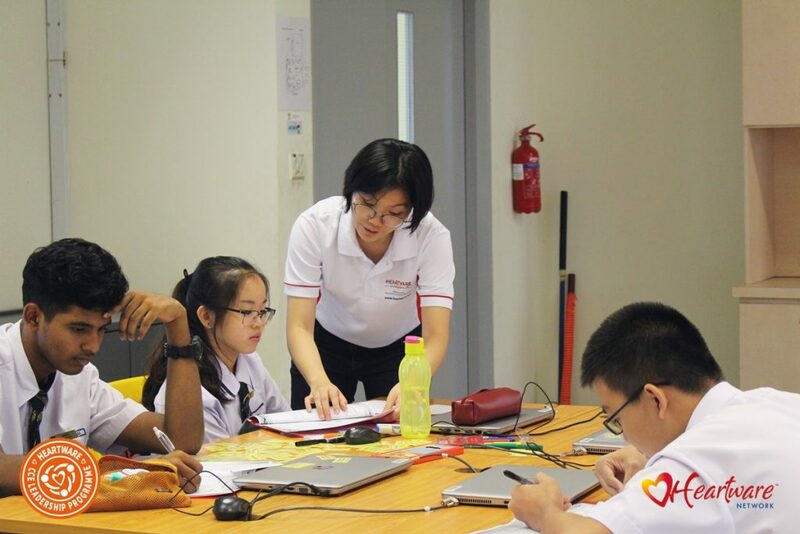 As I am writing this at the end of 2018, after volunteering as a facilitator for the Heartware – Character and Citizenship Education (HW-CCE) Leadership Programme at 4 secondary schools, I have realized how invaluable this opportunity has been to my personal development, and how impactful such a curriculum can have on its students. Under the HW-CCE Leadership Programme, students who were selected by their schools to be VIA Leaders were trained by Heartware trainers to deliberate, plan and execute their VIA projects. These projects the students have planned must specifically target the needs of their beneficiaries. A lot of autonomy was given to the students to lead their classmates in the preparation and execution of their projects. A good project always starts with good planning and asking the difficult questions on the get-go. From all the time spent facilitating, I had the privilege of learning from the Heartware trainers. 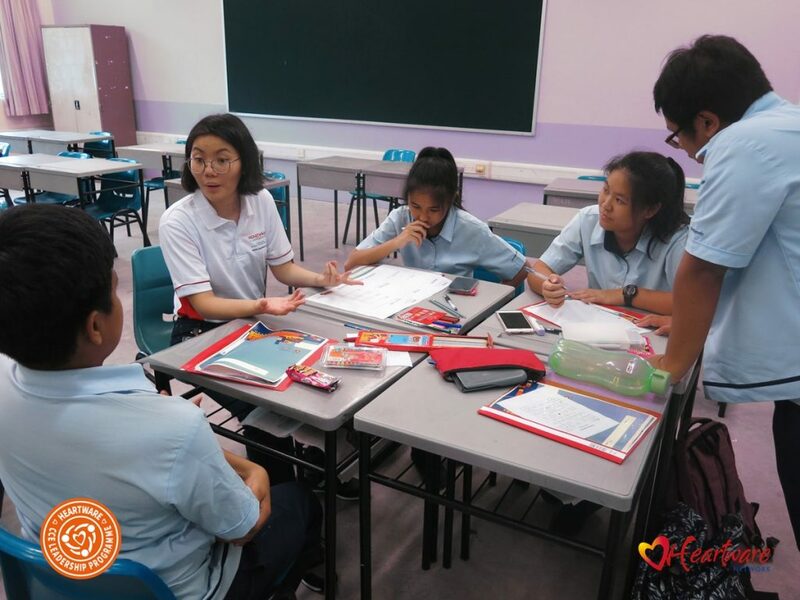 Although apprehensive at first, they constantly encouraged me to try my best to ensure that students caught on to what was going on and facilitate group discussions. I was inspired by how every Heartware trainer captured the students’ attention seamlessly every session. They could even identify the strengths and weaknesses of each student leader in a short span of time, and always interacted with the students respectfully without prejudice, regardless of the students’ academic background. I also had a lot to learn from the students I met during this volunteer programme. These VIA Leaders have taught me the value of objectivity. In a society obsessed with academic achievement, many students who do not fall under the “Outstanding Academic Results” radar are often under-recognised for their non-academic qualities, such as high Emotional Intelligence levels, foresight, the ability to multi-task, communication skills, etc. As we volunteers observed the students’ progress, more often than not, the leaders from the Normal streams were as talented as their Express stream peers. In fact, I had noticed that the students who displayed the most outstanding leadership qualities in class were not necessarily from the “better” academic streams. 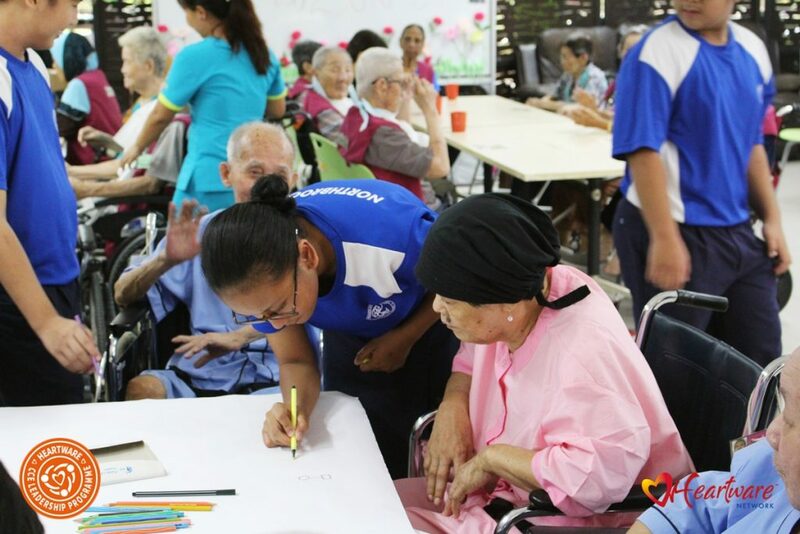 Normal Academic students from Northbrooks Secondary engaging seniors from All Saints Home in a drawing session. Hence, as I guided the students through their group discussions, I have learnt to acknowledge the skills every leader brings to the table and how well these leaders complement and compromise to make their projects a success. It was very heartening to see the VIA leaders from all academic streams interacting with one another, making new friends, and motivating each other to be the best that they can be. I am extremely grateful and honored to have been part of the pioneer Volunteer Facilitators batch. To any future volunteer facilitators, I sincerely hope that you can consider being a part of this meaningful experience. Not only have I learnt to be more confident in my interactions others, I have grown to become a better public speaker. I have also been able to apply the facilitation skills I learnt into my part-time work as a facilitator for another training consultancy. Without a facilitator, group discussions can often become chaos, and misunderstandings may be inevitable. However, with you, you can guide these students towards a path of clarity, towards a collaborative success. 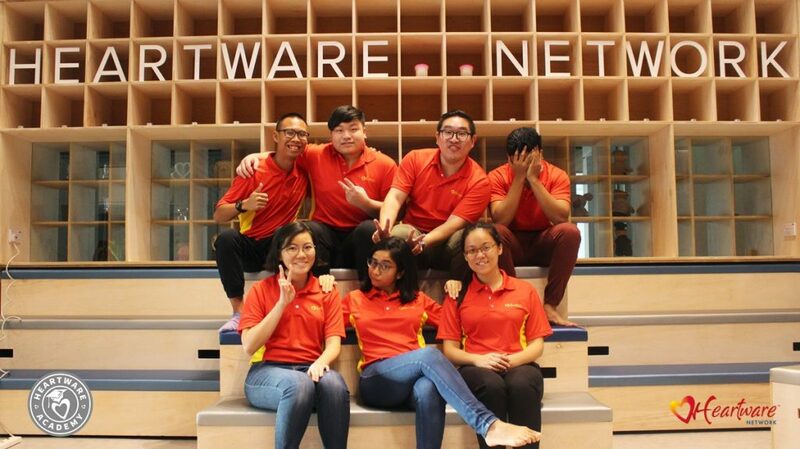 Much love from the pioneer batch of Heartware Volunteer Facilitators! Recruitment for Heartware Volunteer Facilitator 2019 is now open! Know more on how you can facilitate our programmes here.